You don't have to love all the food. Do you love all 120 Crayola crayon colors? I didn't think so. When it comes right down to the tender core of who we are and what we surround ourselves with, understanding how and why we like this, that, or the other is really quite mysterious. The taste that we have in music, art, books, television shows is all about personal preference, and as much as you might badger everyone you know into watching your VHS tapes of Blackadder, you aren't going to be able to convince them all that it's the best show that ever lived. Likewise, you're not always going to be able to make people like foods they don't like. Music, art, books, and television are forms of entertainment. As a food lover, I'd argue that food can be a form of entertainment as well, but it's entertainment you have to put in your mouth. Food goes inside of you. Eating is a more intimate activity than listening to music, watching TV, chin-holding and squinting at art, or reading a book. And if you don't like the food in your mouth, it's far more assaulting to your person than having your ears bombarded Christmas carols in an elevator in October. This is exactly why it boggles me that we can get so judgmental when people don't like (and therefore don't eat) certain foods. 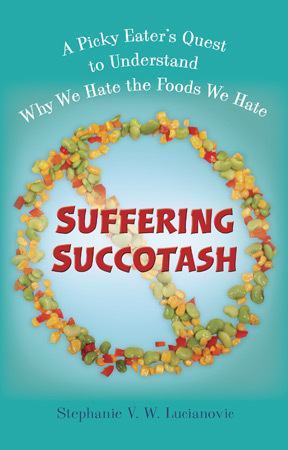 We're going to do the opposite of judging you for hating certain foods. We're going to celebrate it. We're going to pit the most hated foods against one another and see which earns the Bunkler Snacketology title of "Worst Food Ever." 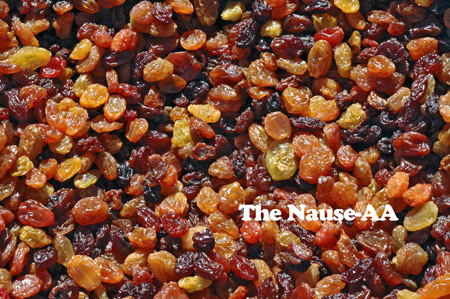 We're launching the Nause-AA and raisins are going DOWN! So ahead, get your food hate out. You have our permission.